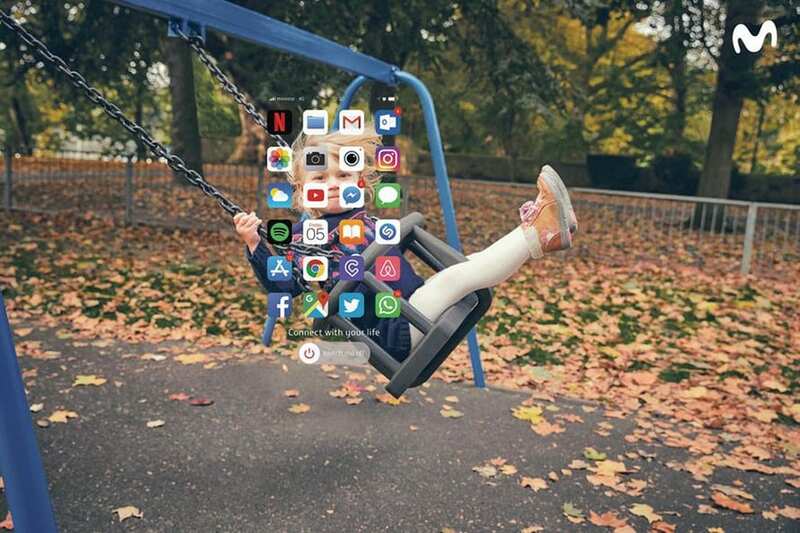 A telecommunications provider in Chile urges customers to put down their phones and enjoy life without distractions. CANNES, France—Each year, the Cannes Lions Festival showcases all winning and shortlisted work in a gallery format. Hundreds of entries, ranging from packaging to print to video, line the aisles of the Palais basement. Digital work is available for viewing at computer stations setup throughout the space. Presented with no award-winning hierarchy, the gallery provides visitors the ability to discover new creative work from around the world. 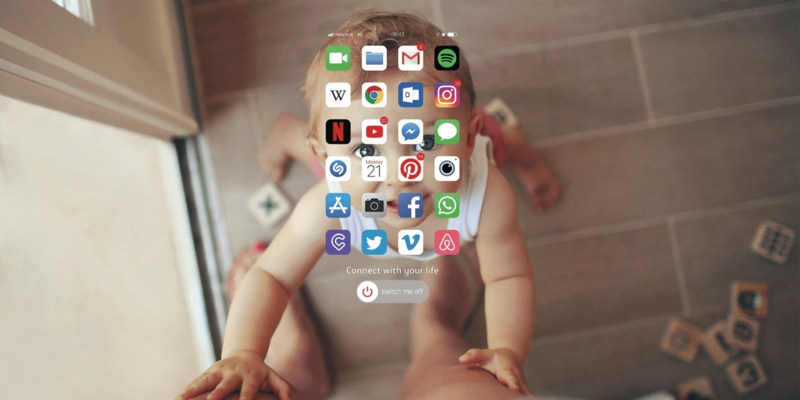 This year, to make this work accessible to all, Cannes Lions launched a digital space where all winning and shortlisted work since 2001 can be viewed online. 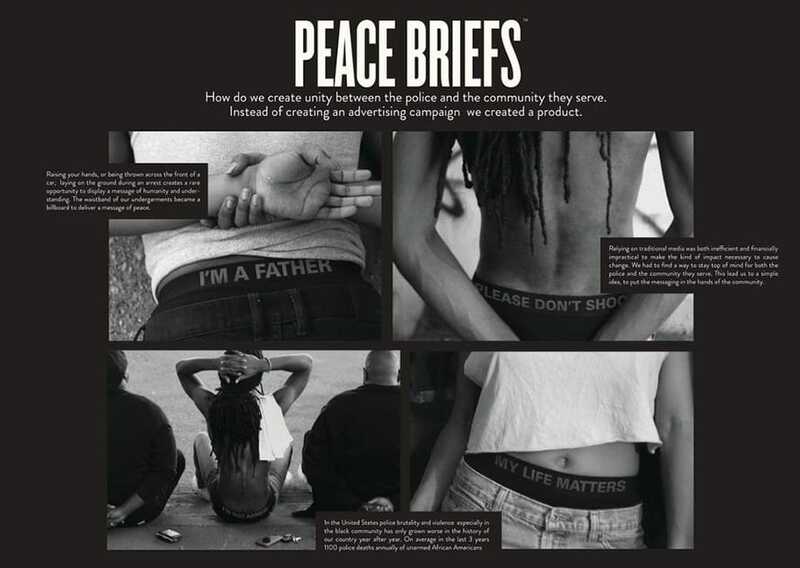 Here the 14 most eye-catching campaigns we saw on display this year. 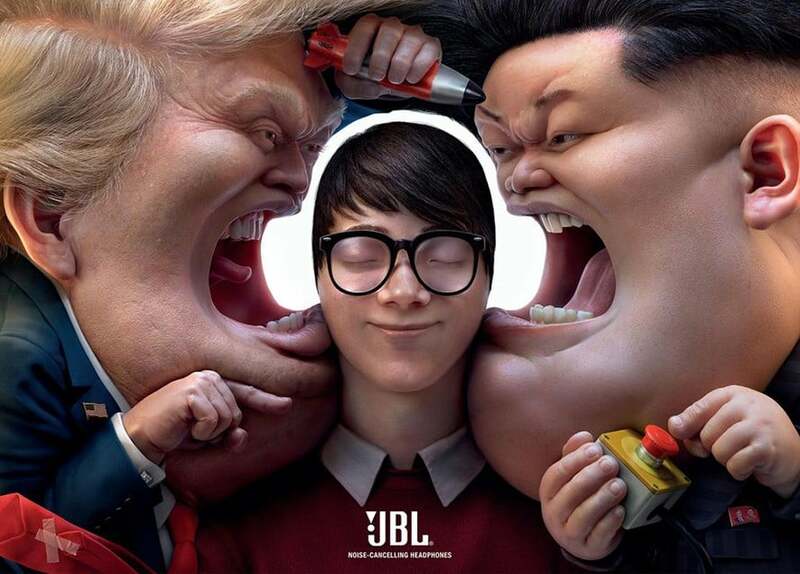 In amazing illustrative detail, JBL noise-canceling headphones appear in peaceful negative space, providing a buffer from surrounding chaos. 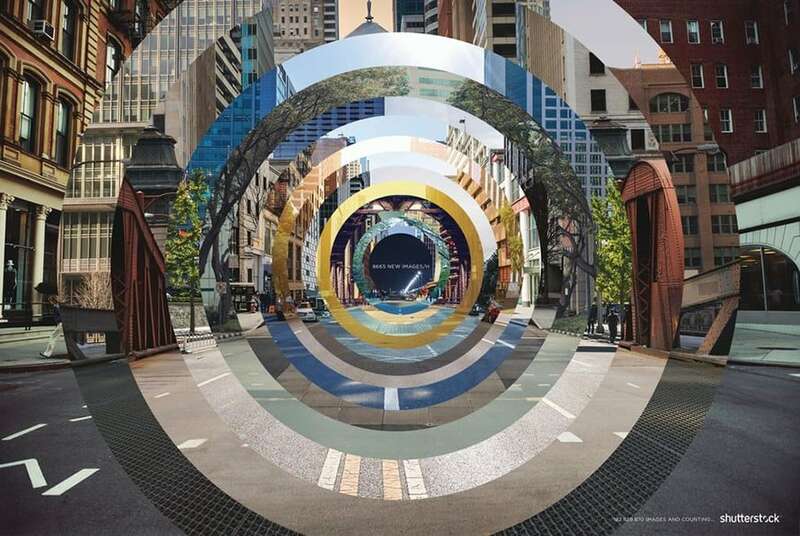 With the idea that any image can be found on Shutterstock, a mesmerizing scene of a road is created with multiple images collaged together. 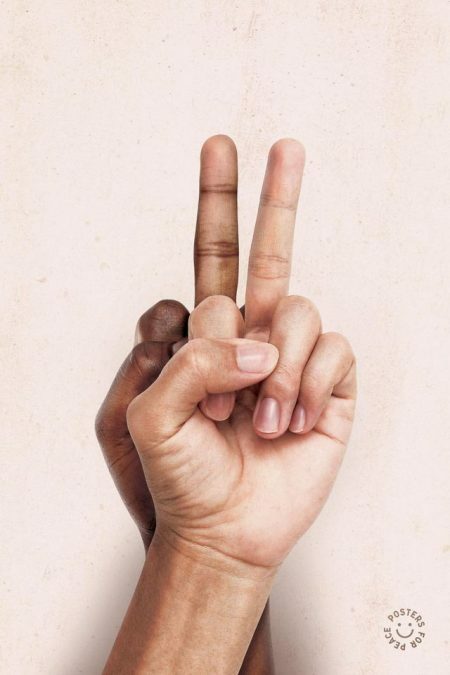 This 2017 Posters for Peace winner embodies a bold message, turning hate into love with two instantly recognizable symbols. 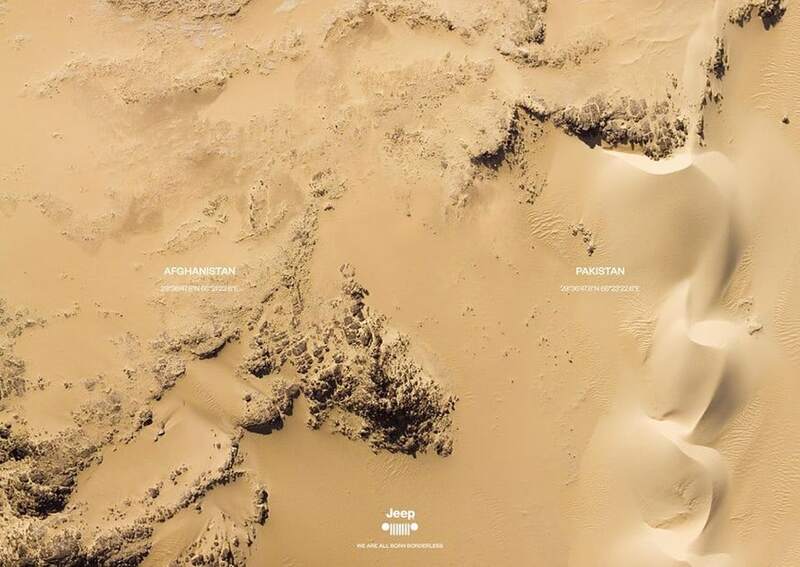 GPS coordinates from politically charged borders show a landscape without limitations of freedom. 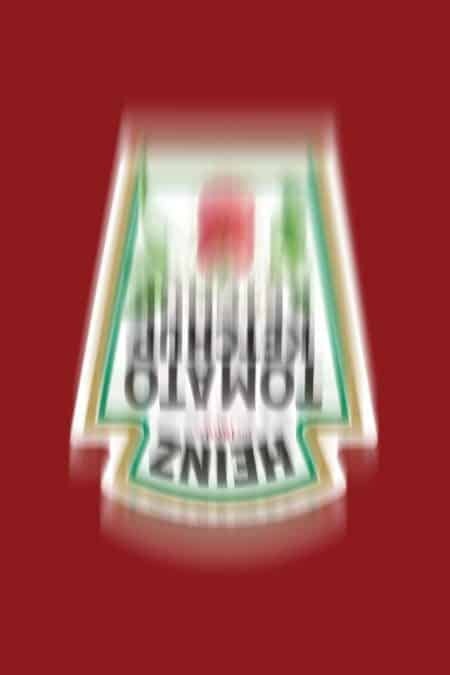 Heinz keeps it simple in this humorous OOH campaign. 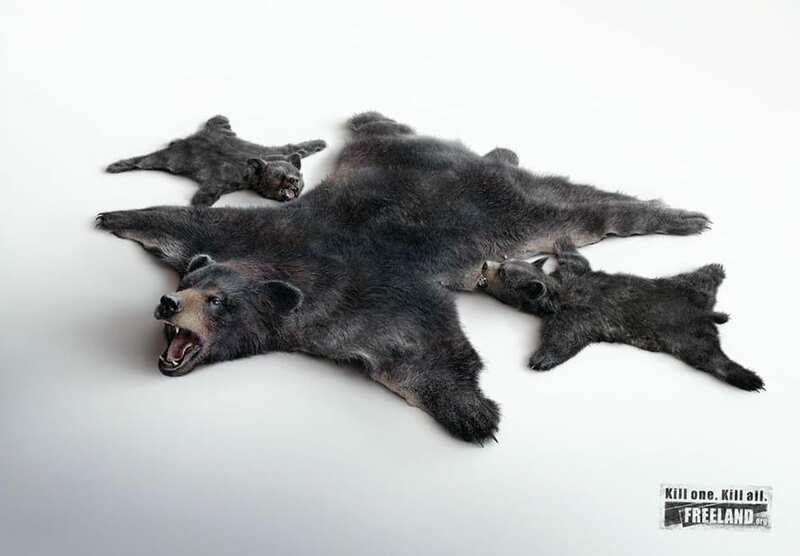 This powerful print work from Freeland shows the impact wildlife trafficking has on future generations of endangered species. 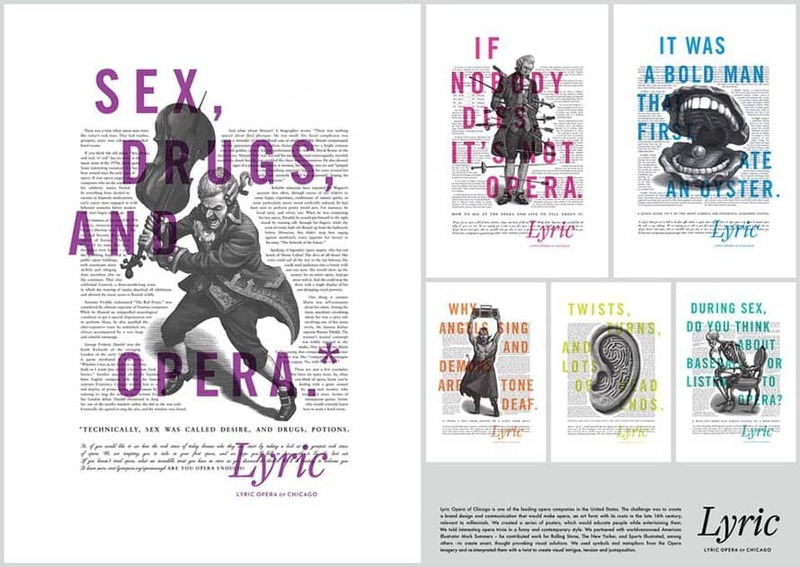 Lyric Opera of Chicago approaches opera in a contemporary fashion, illustrating that the centuries-old art form is timeless. 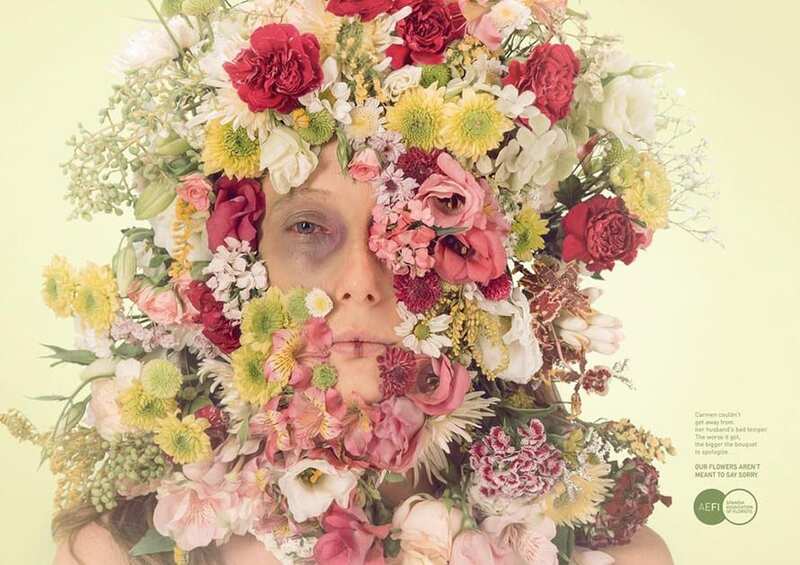 A bold campaign from AEFI Flowers shows women with flowers partially covering their wounds at the hands of abuse. A pivot from traditional sexist flower advertising in Spain, the message emphasizes that flowers are no apology for abuse, as abuse is unforgivable. 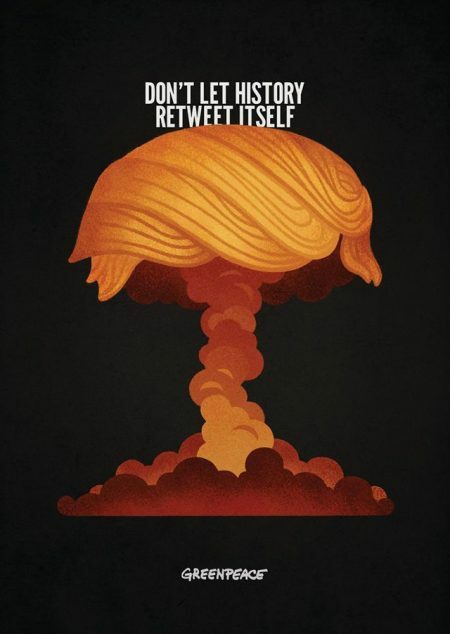 With fears of a nuclear attack looming at the send of a tweet, Greenpeace warns that history may repeat itself in this visually captivating image. 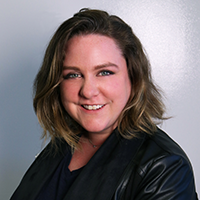 Highlighting how dangerous social media can be in the wrong hands, nonprofit Gesicht Zeigen! 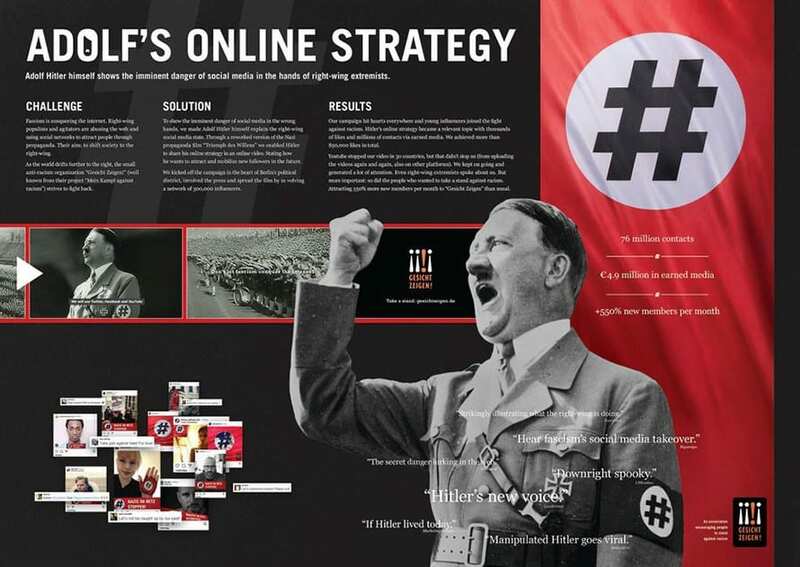 shows Adolf Hitler proposing a right-wing social media plan. This product reveals its message of humanity when a cop forces a person of color to put their hands up or lay on the ground. 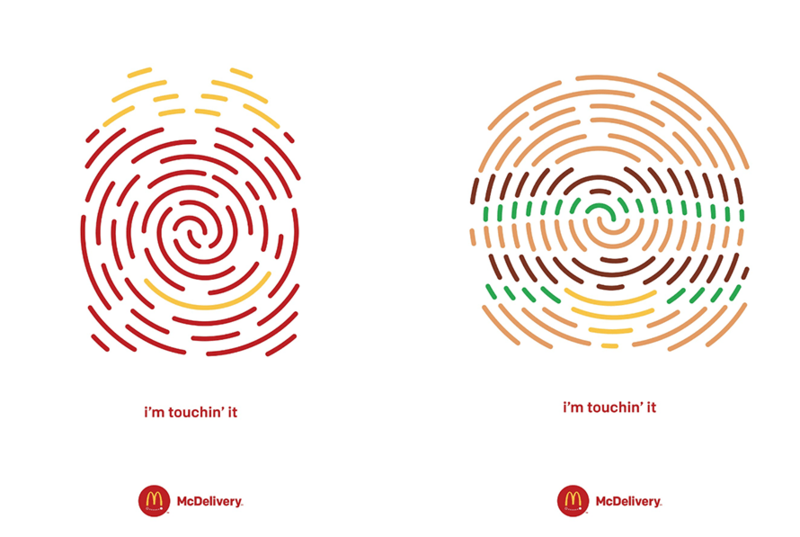 Minimalistic imagery shows that McDelivery is just a smartphone away. 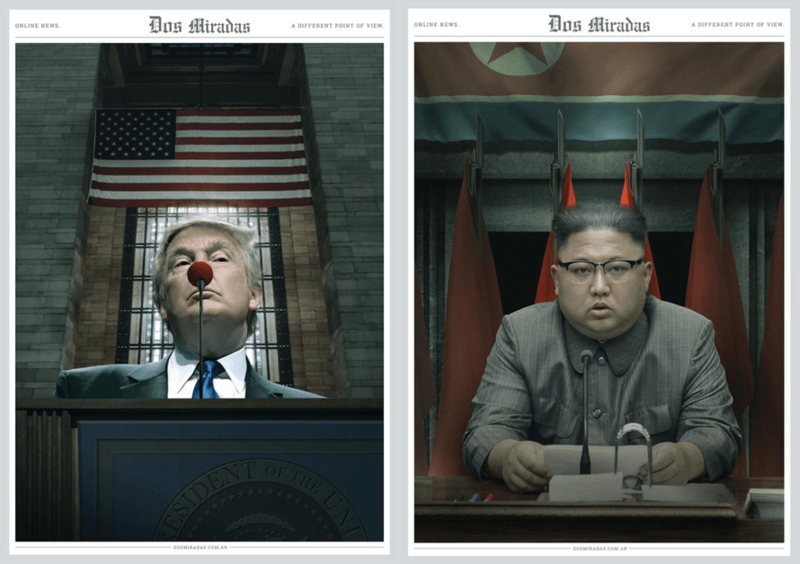 Dos Mirados comments on world leaders with clever juxtaposition of everyday objects.